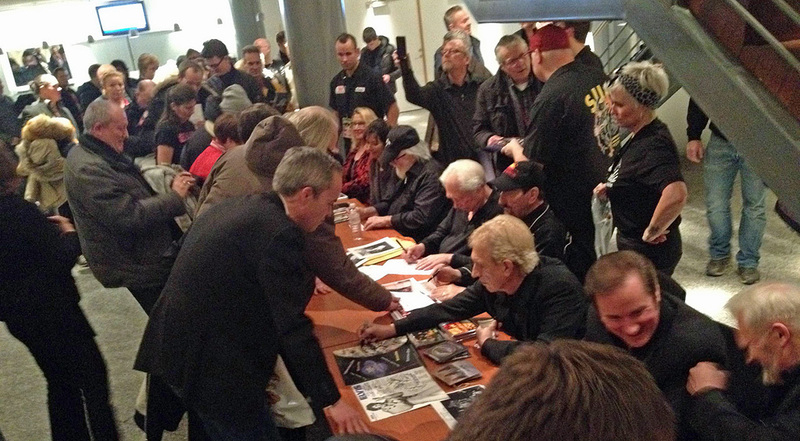 A magic moment: meeting D.J. Fontana in April 2006. 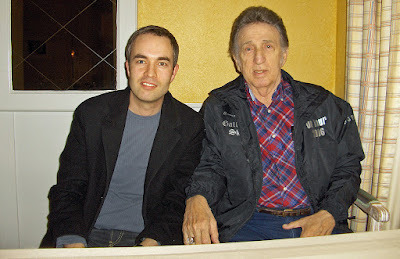 Eleven years ago I had the pleasure of meeting Elvis’ first drummer D.J Fontana. I was working as a reporter at a radio station, when, one day in April, 2006, a press release caught my eye. 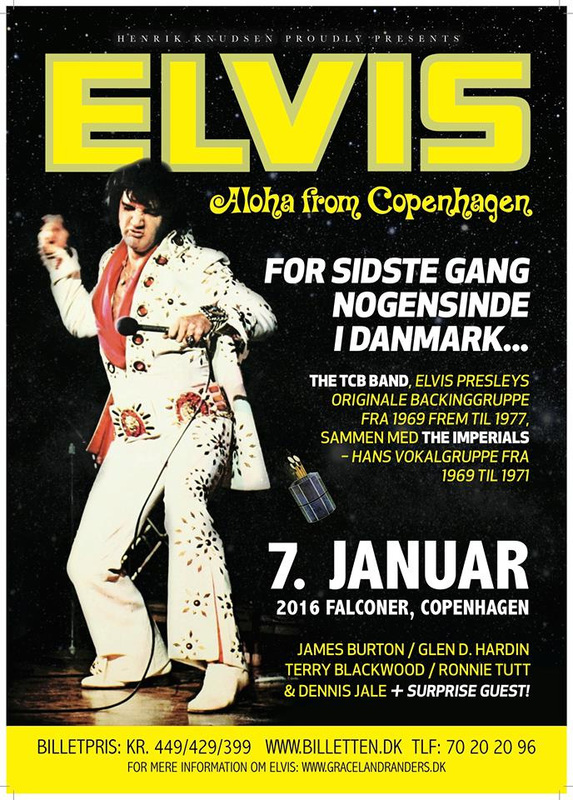 It announced that Fontana was touring Sweden as part of a Swedish group called The Cadillac Band that would be playing my home town that very night. As my news editor didn’t seem to understand the significance of this, I practically had to beg him to let me interview the drummer instead of doing the news piece he had in mind for me to do. 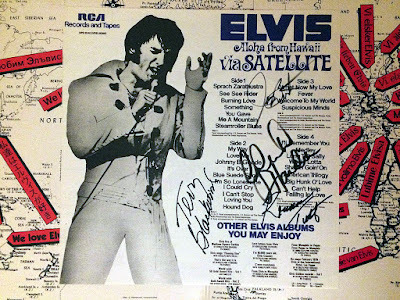 As luck would have it, I was planning a one-hour radio program titled Rock Me Lord dedicated to Elvis’ religious songs to be broadcast on Easter that year. Not only could I do a short news piece about Fontana coming to town, this would also be a golden opportunity to ask him a couple of questions about Elvis’ love for gospel music that I could use in the program. So, off I went, first swinging by my apartment to pick up my Elvis Presley LP, so I had something D.J. Fontana could sign. I then met him and his wife Karen at his hotel before the show where he kindly answered all my questions. I found him very friendly, and he seemed to enjoy talking about his time with Elvis. Afterwards, he signed my record and his wife took a couple of photos of us together. It was a magic moment. 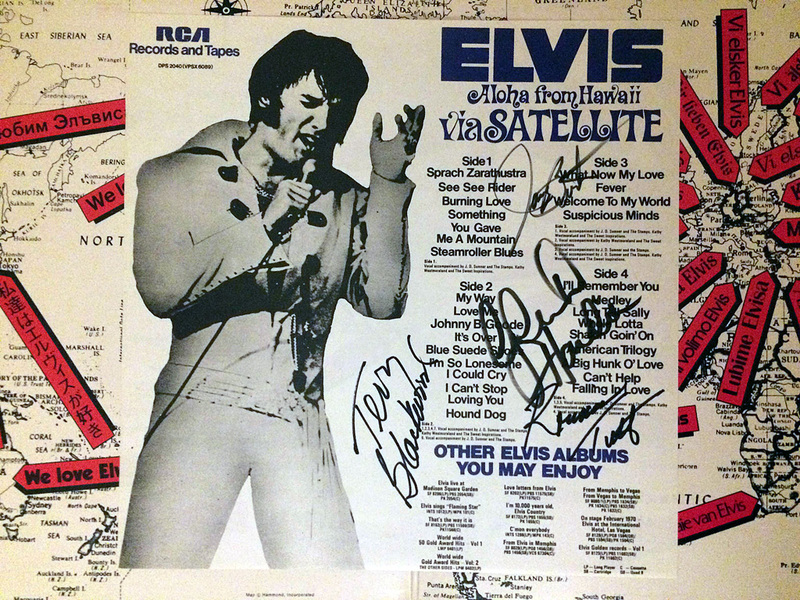 The program about Elvis’ religious music was broadcast nationwide a few weeks later, as planned on Easter, 2006. As only parts of the interview with D.J. Fontana were used, I later decided to include a transcript of the whole interview as a final bonus post in The Elvis Today Blog Volume 2 book that I released in November, 2012. And now, over for years later, it finally makes an appearance here on the blog in digital form: my interview with D.J. Fontana about Elvis and gospel. Thomas: What did gospel mean to Elvis? D.J. Fontana: I tell you what, he loved gospel music, that was his first choice of songs. Course, he couldn’t sing them all the time, you know, the RCA Victor wouldn’t go for that, but he cut three gospel albums, and that’s the only ones he won a Grammy on, the other stuff, not even a mention. But he loved gospel music, and if you listen to it closely, you can see the feeling he puts into his voice when he sings those songs, he almost cries, he does, he’s serious about it. Thomas: He often played a lot of gospel before the recording sessions, didn't he? Thomas: I read somewhere that once, I think it was during the Jailhouse Rock sessions, he got angry when he couldn’t play gospel. Thomas: You played on many of his gospel recordings. Do you remember anything particular about it? D.J. Fontana: No, they all run together after a while, after this many years, in fact. No, you go and you might cut five or six songs, maybe ten, and you hardly remember what you did from this minute to the last minute. It’s gone away. You do another song, you have to concentrate on what you do that moment, you know. Thomas: I’m also gonna tell in the program that he sang “Peace In The Valley” on television, on the Ed Sullivan show. D.J. Fontana: Yeah he did, yes, he told his mother he would do it. And it wasn’t Ed Sullivan at all, it was the producers and directors and all that stuff, they said, “No, you can’t sing it, we don’t have gospel on our show. So when Ed came in, he asked, “Mr. Sullivan, I told my mother I would do this for her” and he said, “Let the boy sing what he wants to sing. That was Mr. Sullivan, he was pretty good about it, he let him sing. Thomas: Do you like Elvis’ sacred recordings? D.J Fontana: Oh yes, absolutely, I love them all. Like I said, he had so many, really. It’s hard to keep up with them all nowadays, you can’t do it. But I think if people would listen to his gospel, his religious tunes, they would fall in love with his religious side. Thomas: Do you have any particular favorites? D.J. Fontana: I like “Peace In The Valley” … what’s the other one? “How Great” [Thou Art]. Those are two of my favorites, yeah. "Give Us Something Hard To Find Like Elvis"
The story behind this flight crew patch has eluded me for years. Nearly six years ago I wrote a post about the Elvis CAC 4 (Combat Air Crew 4) crew patch. This is an Elvis patch I bought many years ago at a store that sold military surplus stuff that I recognized as some kind of aircrew patch. When the patch resurfaced at a bottom of a drawer in my desk in 2010, I made a google search and found out the patch belonged to Patrol Squadron 45 (VP-45). 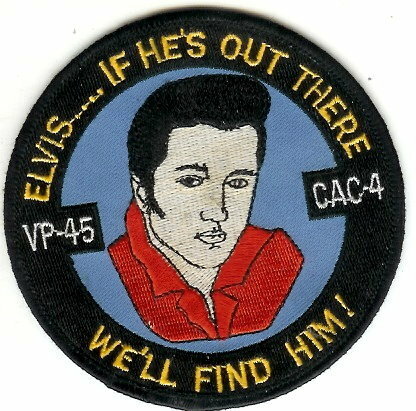 I then sent an an e-mail to the Public Affairs Officer (PAO) of VP-45, asking about the Elvis patch and its history. Not receiving an answer, I decided to try again one and a half year later, this time also contacting the Patrol Squadron 45 Association with the same question. The president, Buck Jones, responded quickly and sent me an e-mail the very next day, explaining that the patch I had in my drawer wasn't an authorized VP-45 patch, but that all Navy Patrol Squadron's usually allow individual flight crews to wear unique crew patches on their flight gear. Unfortunately, he had no idea when a crew 4 wore the Elvis patch. I never heard from the Public Affairs Officer, but last week, out of the blue, I found someone called Bill had commented my post from July 12, 2011. My excitement grew as I started to read, realizing this was a pilot who had worn the Elvis crew patch. Hey there, little time late. Was doing a google search and saw the image of the first Elvis patch come up. Followed it here. I was one of the pilots on CAC-4 from 1989-1991 when we had the patches made up. Unfortunately we weren't too sure how well our pencil sketch of Elvis would translate to embroidery so we didn't want to overdue the order. We only had fifty made which came out to about four for each crew member. Once we started trading them at foreign bases in Europe, the Med and north Atlantic we realized how popular they were. Instantly we wished we'd made more. Shortly after our return home the crew members went on to other assignments or crews so we never had the opportunity to order more. As you wrote in your post, when a squadron was getting ready to deploy overseas for six months each crew would make up a patch. Since we were sub hunters some common themes would have a knight in a suit of armor chopping a submarine in half or Bart Simpson with some attitude. We were looking for something different, a little less common. One day our Tactical Coordinator (TACCO) said "You know submarines are easy to find," (they're not) "give us something hard to find like Elvis." The rest is history. I'd like to thank Bill for sharing his story about the Elvis CAC 4 crew patch. Thanks to him I finally have the story behind the patch I bought so many years ago and still have in my possession. I wonder if there exists a photo of him and his crew, all of them wearing the patch on their flight suits? If so, that's one cool picture I'd like to see! Elvis Presley and Mary Tyler Moore in Change Of Habit. Having learned that actress Mary Tyler Moore had died, I dug out my DVD copy of Change Of Habit. It's been a long time since I watched this, Elvis' last scripted film, in which he plays a doctor (John Carpenter) and she one of three nuns (Sister Michelle) seeking employment at his free clinic in a deprived area of New York. I have always found Change Of Habit entertaining and well acted. Including such contemporary problems as racism, violence and loan shark operators it's a far cry from the stereotypical Elvis Presley movie. In fact, it's hard to understand that Elvis made films like Clambake and Speedway only two years earlier. One of the strongest scenes is the one where Elvis, aided by Mary Tyler Moore, helps an autistic child. Doctor and nun sit side by side, holding the girl while she kicks and screeches, all the while telling her to let out her anger and repeating how much they love her. Not very realistic, I learned today thanks to the internet and the article Elvis and autism: An unlikely couple. But emotional, nevertheless. The movie has some humorous moments, too. When a loan shark, The Banker, turns up at the clinic, Elvis greets him with a straight face and the line "I can't help you Banker, I'm not a veterinarian. "Another memorable scene has Elvis playing a bluesy version of "Lawdy, Miss Clawdy" on piano, with no vocals, in the nun's apartment. Speaking of the music, Elvis recorded four songs for Change Of Habit on March 5–6, 1969, but one of them, "Let´s Be Friends," never made it into the movie. Instead, "Rubberneckin'" from the American Studios sessions in January that year, was used in the film, meaning the entire soundtrack was awarded to songwriter Ben Weisman. 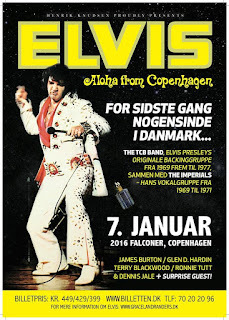 In his book Elvis Presley: A Life In Music Ernst Jorgensen has nothing positive to say about the soundtrack recordings, writing that "Elvis must have wondered what he was doing there." 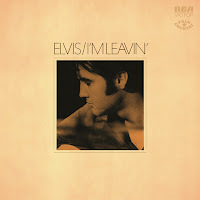 Meaning, I guess, that the songs were a far cry from the Memphis recordings, and that Elvis had his mind on his upcoming return to live appearances at the newly built International Hotel in Las Vegas. 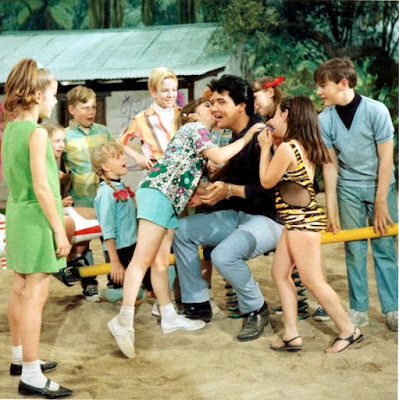 The scene in the park where Elvis is singing "Have A Happy" on a merry-go-round after a touch football game is another matter. It really is out of place and does nothing to promote Elvis image as an adult actor. Why it was put in the script in the first place is beyond me. In his physial prime and with potentially a whole new career ahead of him, Change Of Habit marked Elvis Presley's final acting role. The waste of talent was horrendous. Although many further offers came his way he would never again appear in a scripted film. "Confidence" was sung to and with a group of children in the movie Clambake. 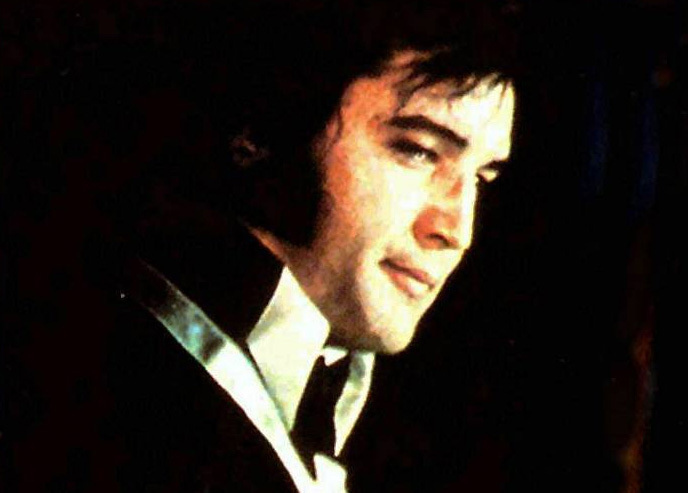 Today would have been Elvis 82nd birthday, and as I always do on January 8, I try to listen a little bit extra to his music, watch one of his movies or remember him in some other way. With a newborn baby boy to take care of it´s been a bit of a challenge this time around. But as I was about to turn the children's program off I asked my six year old daughter if she wanted to watch an Elvis clip on YouTube before going to bed. "Yes, the scene with the playground," she answered. So today we honored Elvis Presley by looking at him singing "Confidence" in the movie Clambake. To be honest, my daughter prefers more moderns stars like Justin Timberlake, Shakira, Katy Perry and Justin Bieber plus a bunch of Swedish artists I wont bother you with. But for some reason she likes "Confidence," both on record and on film. Maybe it's because it reminds her of her own world with playgrounds and children her own age, maybe she just thinks it's a funny song. "Look daddy, she is really cute, she looks like a princess with those blue hair ribbons," she commented the girl who is afraid to go down a slide. And she watched intently as the girl finally slides down and Elvis sets the sling going while the camera turns the whole scene upside down. She also read out loud the words "ice cream" on Red West's ice cream wagon, so Elvis has taught her some English words, also. The scene with Elvis singing "Confidence" certainly isn't the most memorable one in his acting career, on the contrary. But watching it with my daughter and seeing it through her eyes always puts a smile on my face. For an exhausted daddy, it was a welcoming moment tonight. So, one again, thank you Elvis, and happy birthday!